For more than 300 years, the Russian city of Volgograd was known as Tsaritsyn. It was dubbed Stalingrad in honour of Soviet leader Joseph Stalin for a mere 26 years, but then his successor Nikita Khrushchev dropped that name as part of his campaign to dismantle the personality cult of the former dictator. Now the city may become Stalingrad once again after president Vladimir Putin proposed holding a referendum to change the name amid a wave of second world war patriotism over eastern Ukraine. When asked by a Soviet veteran during D-day commemorations in Normandy on Friday, Putin promised to help the city’s residents vote on bringing back the Stalingrad name. “It wasn’t me who canceled that,” Putin told the veterans. On Sunday, Russian Orthodox church spokesman Vsevolod Chaplin also spoke out in favour of a referendum. “The word Stalingrad already has a life of its own, independent of the name Stalin. It’s associated with the victory in a famous battle, with a certain part of our history,” Chaplin said, news agency Interfax reported. Several other prominent politicians, including deputy PM Dmitry Rogozin and Communist party leader and MP Gennady Zyuganov, were quick to put their weight behind the possible name change. But Putin’s support is what is likely to move the initiative forward in Volgograd, which is one of Russia‘s largest cities with more than 1 million people. Last year, several politicians called for a referendum on the name Stalingrad on the eve of the 70th anniversary of the battle there, which stopped the Nazi advance into the Soviet Union and stands as one of the bloodiest battles of all time, with an estimated 2 million total casualties. The Russian Citizens’ Union turned in more than 50,000 signatures in favour of renaming the city, but local politicians and Putin’s spokesman Dmitry Peskov both turned down the idea. However, the Volgograd city council voted to use the name Stalingrad on nine annual holidays connected with the second world war. But outside veterans and pensioners, few seem to support bringing back the war-era name. 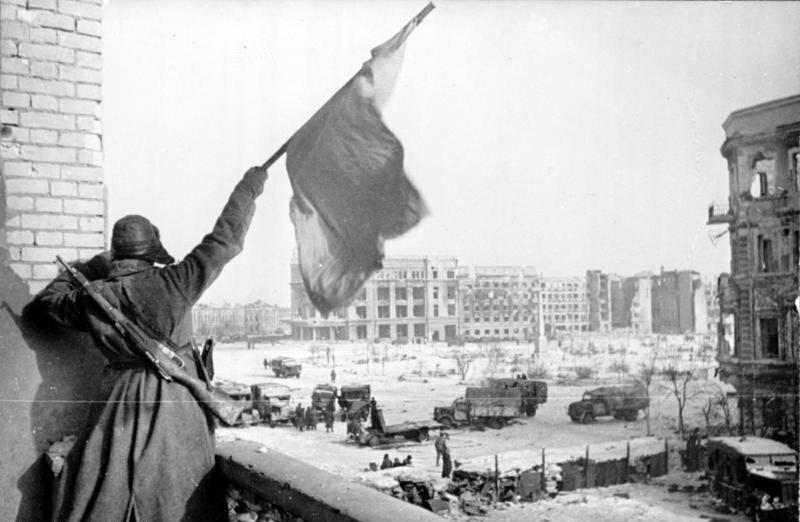 A poll by the independent Levada Centre in 2012 found that 18% of respondents were for renaming the city Stalingrad, but 60% were against the switch. Volgograd city council deputy Alexei Volotskov said three out of four residents asked in a local poll were against returning the name. Over 20 million Soviet citizens are said to have died in the second world war, and the conflict has played a huge role in the national consciousness. But patriotism and reverence for the great victory has risen to new heights in recent years with the support of Putin and other politicians. Earlier this year, the liberal television station Dozhd was dropped by most major carriers under political pressure after it conducted a controversial on-air poll asking if the Soviets should have surrendered the besieged city of Leningrad to save lives. Russian state television coverage of eastern Ukraine, where pro-Russian rebels have been fighting for control with Kiev’s forces, has portrayed the conflict as a struggle against fascism, dubiously comparing the new government in Kiev and Ukrainian nationalists with the Nazi invasion. Several rebel leaders have also portrayed their campaign as a continuation of the second world war.